Medinfo provides the world’s leading scientists, medical practitioners, entrepreneurs, educators as well as students a high quality platform for sharing of the world’s current research and application in these fields. Medinfo, once held triennially, and now biennially in different regions, has traveled across time and continents to arrive China in 2017. Medinfo 2017 is hosted by IMIA, organized by CMIA (China Medical Informatics Association) and Xiamen municipal government. 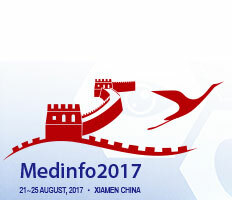 Under the theme of “Precision Healthcare through Informatics”, Medinfo 2017 offers you the latest trend and development in health and medical informatics, a glimpse of China’s medical informatics application in coping with its healthcare problem under its large population pressure, and a chance to witness IMIA’s 50th anniversary celebration.